One mouse in your home can quickly turn into hundreds of mice. They multiply very quickly, so you definitely don’t want your home to be a breeding ground for mice. Mice do not need much food to survive, so they can linger around your home for quite some time if not removed. Another reason to remove mice from your home as quickly as possible is because they can cause significant damage to the structure of your property as well. Mice love to chew on wiring, insulation, damage your heating and A/C unit. etc. So, rather than having to pay for these costly repairs later because of the damage caused by the mice, you should invest in mice control services from our experienced team at Minnesota Wild Animal Management, Inc now. Last but not least, mice can carry dangerous diseases that you do not want within your home. Mice can carry salmonella and ringworm. If you would like to have your home or commercial property thoroughly inspected by mice control professionals, it’s time for you to connect with our staff. Serving Minneapolis with more than 35 years of combined experience, we know all of the hiding spots where mice like to hangout. We’ll identify all of the mice during this assessment and provide you with our mice control recommendations. From there, we’ll set a date for our experts to come and remove these mice from your home. 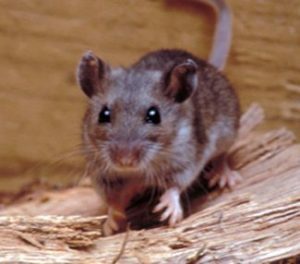 At Minnesota Wild Animal Management, Inc., we pride ourselves in not only our removal services, but our mice control prevention services as well. Preventing these mice from entering your home again in the future is a critical step in the mice control process. Through our 17 point prevention check, we’ll make sure that these mice don’t come back again! To show our confidence in our mice control prevention services, our work comes with a four-year warranty. If you are concerned that mice may have invaded your home in Minneapolis, MN, it is crucial that you call the professionals. Providing mice control services for the Minneapolis community, call our dedicated crew at Minnesota Wild Animal Management, Inc., and let us get rid of these unwanted mice quickly! To set up an assessment, give us a call today at (763) 785-1414.